24 hours in Abu Dhabi? Look no further. Here is an in depth guide on transportation options, places to see and where to find the best food in city. Are you visiting Dubai in the summer? It's a great time to explore the emirate and to really get a feel of desert living, however it can get quite hot. Here is a helpful list of items you should include in your luggage to survive the summertime desert heat. I stayed in Al Ain, a city located near the outskirts of Abu Dhabi and the border of Oman. Known as the Garden City, it boasts a lot of UAE history and architecture that are worth checking out. Compare Saudi Arabia with the United Arab Emirates to see how the two countries will give female travelers different experiences, even though they're both in the Middle East. A two day trip in the United Arab Emirates capital, Abu Dhabi. Tips on driving, places to visit and things (not) to do. After traveling carry-on only in the UAE for over a month, I'm sharing the pros and cons of what it's like to travel light. Is Dubai safe for a solo female traveler? I ventured out into Dubai many times on my own. Here are my experiences including seven days worth of places you need to visit and the things you need to do. After driving all over the UAE for a month, I'm sharing 6 tips to help you while you hit the road in this glamorous desert. 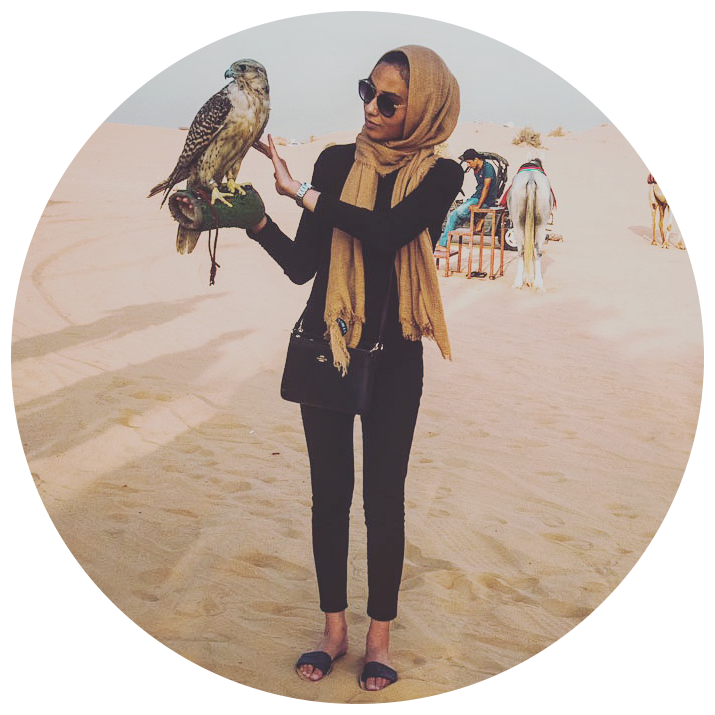 Samah is a Toronto-based freelance writer, digital marketer and former public servant. Needing more creative inspiration, she purchased a camera for motivation to travel and explore. You can catch her hiking or roaming urban landscapes, camera slung over the shoulder, with an iced chai latte in one hand and checking Instagram in the other. Looking back, the best travel memories I made were when I was on my own - the ability to meet people more easily, the curious stares, the smiles, the approachability of a solo woman and unfiltered experiences. People often exclaim how brave I must be while my family thinks I’m on something - and they’re right. I’m high on life and the mystery and allure of unknown places are too inviting for me to wait for someone to join in. For as long as I can remember, I’ve had a habit of waking up super early - I’m talking 4/5 am. Conveniently, I can get stuff done, go for a run or shoot the sunrise while the city sleeps. Being around people all day can get exhausting, and as I grow older it’s quiet moments like these I find myself looking forward to.